I wanted to share with you the party favors I made for my three year old daughter's preschool class. Tommorrow is her last day until after Easter, so I thought I'd make her & her little friends some cute, little treats! It was so hard for me to narrow down my project ideas, but I finally settled on these for her classmates. What kid wouldn't like a bag of candy wrapped up with this sweet little bunny topper? & some yummy marshmallow Easter candy sticks! I managed to wrap up a few more swaps spots for my friend Kate's swaps on Splitcoaststampers today too! I made this one for my full card spot in her Sandbox Swap. I just love Sophie from Hanna Stamps, & could not resist making the card look like an empty beach where she was awaiting her friends! The sunglasses & the palm tree are brads & I thought the mini Prima added a nice touch! The cardstock & sentiment is from SU. I stamped it in Memento Tuxedo Black, & colored Sophie in with Copics. I made this 3x3 card for Kate's new 'Lei it on Me' swap. Again, I reached for my Bikini Sophie. However, this time I changed her out of the Tankini she was wearing in the card above, so she was ready for the tropics! I even inserted a frosty, umbrella drink in her hand too! The drink stamp is by Studio G, & the palm tree is a button pilaged from my Mom's stash! The beautiful paper came courtesy of my good friend Gabby, and is made by Imaginisce. I stamped the images with Memento tuxedo black ink, & colored it all with my Copics! I even added a shadow behind Sophie, & tried to create a sandy 'texture' for the beach. What do you think? Wanna go there? 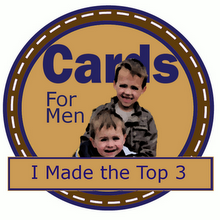 I made these card's for the full card spot in the same swap as the one above. The DP was so pretty, I couldn't bear to cover it all up! So instead I created a smaller scene using two other Studio G sets on a scalloped square, and placed it askew from the DP. Then I layered several different size Primas and secured them with a brad by Making Memories. Everything was stamped with my Tuxedo Black Memento ink and colored in with my Copics. The card base is Whisper White CS from SU. 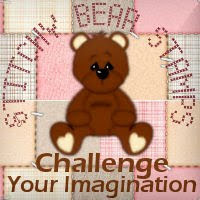 A great big thanks again to Gabby for the gorgeous Imaginsce DP! So the incomparable Kate has also added another to her list of open swaps. Her Fourth of July Blowout Swap was such great fun last year, that I was super excited to see it up again this year! I quickly set about making these simple ABaC's (Anything but a card) for the swap! These royal blue boxes of tiny breath mints perfectly fit the bill IMO for this! I cut a small piece of DP and affixed it to the top of the container. Then I added a swatch of Bobbin Ribbon. Finally I stamped, punched and double matted the medallion. The medallion stamp is by Studio G, and reads 'Celebrate Freedom' and 'July 4th'. It's a quick and easy favor to make up and give out for your Fourth of July BBQ, Memorial Day Festivities, or Labor Day Picnic. Don't you think? Finally, I created this full card for the last of NINE(!) spots in five of Kate's Swaps (Have I mentioned how much I love doing Kate's swaps? :-)). I thought almost any stamp could be changed a little to fit the patriotic theme for this Fouth of July swap. So I decided to let my DD choose the stamp for the main image! 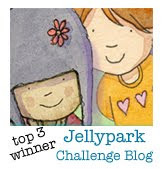 She chose this stamp by Me and my Big Ideas for Inkadinkadoo. I stamped the image with my Memento ink and colored it in with my Copic markers. The ribbon is from the American Collection at Michaels, as are the rhinestone stars. The 'USA' sentiment stamp is from Studio G. The textured CS base is from DCWV. 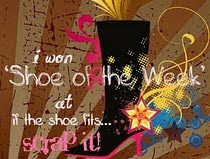 It's been a crazy week here in my world! My mom just moved here from Phoenix, and it's been alot of work getting everything all unloaded from her moving van and put where it belongs. Thank goodness I have my stamping to keep me grounded! As always, it was my oasis on some of the really tough days! I haven't had a whole lotta free time (or energy) as of late, but managed to squeeze in time to finish a few swaps and projects, as well as make a few thank you cards for my mom to use. Some special people reached out to helped my mom pack up her home and move 1904 miles away, and I was delighted to be able to do some small thing to express my thanks as well! My mom had to donate, sell, and throw out so many of her things since she simply could not take it all across the country with her. However, she had stashed a few stamps of her own in the UHaul and she wanted to use them to create some special cards for some of her friends. These are some of the cards I quickly made up for her to use. 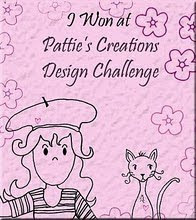 I also have been working on cards and projects for my friend Kate's swaps on Splitcoast Stampers. She is a fantastic hostess and does a great job on all of her swaps too! She is currently hosting several, including ones for Mother's Day, as well as Beach and Cowboy themed swaps. She just wrapped up swaps for St. Patrick's Day and Easter and I was delighted with what she sent! She really is the hostess with the mostest! This is one of the cards I completed for her Mother's Day card swap on SplitCoastStampers. 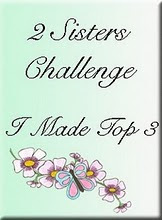 Besides trying to complete swaps, I also managed to make a card to enter for tonight's MFT Junkie challenge. The challenge this week was to use masking to create a card. Below is the card I made for my entry. 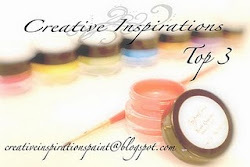 I masked out the pot from the Lavender by Annie LaPointe stamp from MFTStamps. Then I put them into the Mug which is part of a Hero Arts set. I drew in the background freehand, and colored it all in with my Copics. It is a total of five layers, three of which were decoratively edged, two were embossed in my Cuttlebug, and one was punched with a Marvy punch. The ribbon was Bobbin Ribbon from JoAnns. After not making it into the Top 10 for the MFT Idol contest, I realized I was so happy and excited for the winners! 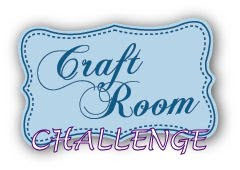 I loved seeing all of the wonderful cards and projects the contestants made to enter, and was looking forward to seeing what everyone did for this weeks challenge! 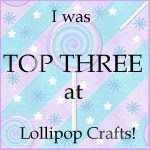 I decided to continue on hangin' out on the thread with the other stampers who were there for the sheer love of MFT stamps despite not making it to the top ten. This group - dubbed the MFT Junkies- are having their own challenges, to coincide with the Idol one. 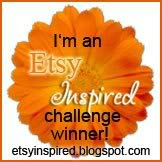 In the spirit of the theme - 'Celebration' - I created the pendant below to celebrate whoever became an MFT Idol! I used a Tim Holtz Ideaology blank, and backed it with glittery, fuschia cardstock from DCWV. Then, I used Ranger Crystal Stickles to affix the cardstock to the pendant. 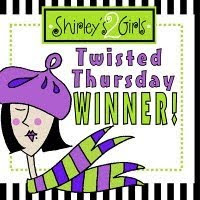 Next, I stamped the sentiment in StaZon with stamps from MFTs Twisted Sentiments, and MFTs Digital Girl. Finally, I added my bling - round crystals and rhinestone stars, and black ribbon for a 'necklace'. 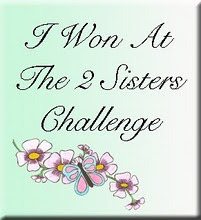 I've been doing a whole lot of challenges lately, but of course I can't forget about my swap obligations either! Unfortunately, it is difficult to find enough hours to do my swaps and the fascinating projects I want to do, with a 3 year old under foot too! My solution to this dilemma, has been to see what challenges can also be combined with my swaps. I have to admit, it has been so much easier, and so much fun! Look at this card I made for Gina K's Friday Potluck Challenge, as well as for my friend Cheryl's (DJ!) music swap on SplitCoastStampers! 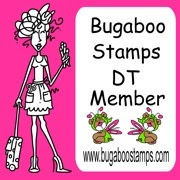 This card uses the Rocker Girl Stamp from Stampingbella's Tiddly Ink line of Stamps. She is cut out and raised up on pop dots to make her 3D! She is colored with Copic markers, and blinged out with Spica pens and some heart shaped crystals. 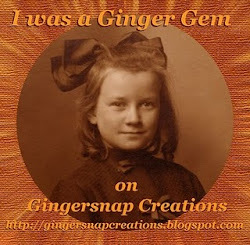 The sentiment is made by Stampendous. A new MFT Swap...with a great twist! I'm hosting a new swap on Splitcoast for an My Favorite Things card swap with a twist! The +1 card that usually is kept by the swap hostess, will be given to a charity. 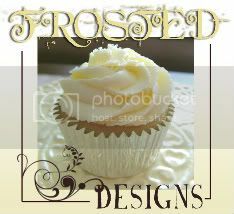 The charity is yet to be announced, but to sweeten the pot, Kim from MFT stamps is going to give a great prize to one of my lucky swappers! I love that song from The Sound of Music, and I love the stamps from the company that shares the name - My Favorite Things! I never run out of things to do with their super, versatile clear stamps! 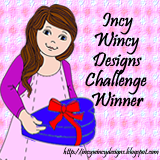 This month, they had a Guest Designer challenge that made set my mind awhirl with ideas! I came up with at least 6 ideas of things to make with just one set - Boho Blossoms! I was only allowed one entry, so I decided I'd better sit down and whittle down my ideas. Well where better to sit and ponder than on my back patio, in the glorious 84 degree weather we had today? I sat there, marvelling that it had SNOWED just last week! I turned my head, and suddenly I got my inspiration from the cardboard cut-out of my friend Rae Anne! (I'll explain about that later! ;-)) See the beautiful Hula girl got me thinking and I sprung up to gather everything I needed to make impromptu summer drinks for me and my new neighbors! So I stamped and cut and assembled. And then I made a nice, big pitcher of icy Sangria! I snapped a few pix, and then invited my already staring neighbors over to join me! It turned into a nice impromptu happy hour get together, and it was so nice to get to know them a little better! These are some of the Drink Stirrers I made using MFT's Boho Blossom stamps! They came out pretty cute, and really fit in well with my theme! Doncha think? My friend 'Binny' told me about this contest while I was buried in the stacks of boxes that I was attempting to unpack still from our move two weeks ago. Normally I am online and drooling at all the stamps, papers, and other neat stuff My Favorite Things releases, but I was so busy with everything, that I hadn't yet caught up. I was intrigued to say the least, but was feeling VERY intimidated about trying to enter a competition like the MFT IDOL one. I mean -they have so many talented designers, and I love seeing all the projects they and their fans post all the time! However, an idea got caught in my head, and along with some serious coaxing from Binny, I decided to take the plunge and enter! This is an exterior picture of my project. You can't see them but there are Red Crosses of the sides of the box, and the tag reads: "Feel Better!" Well, being the person I am, I couldn't just stop and leave the project at that! I had to fill it! So this is the jam-packed box of coordinating goodies I picked out and altered to complete the project! And what exactly is in my Get Well Kit? Well - scroll down to take a look! This is a picture of all of the goodies I put into the box to make a special someone feel better soon! Below I added some pictures of each thing close-up so you can get a better view! Enjoy! I included a packet of tissues for catchin' those sneezes , so as to not spread any germs! ...Vapo-rub to sooth away those aches and pains, and clear up those yucky sinuses! ...some Chicken soup - since we all know chicken soup cures everything! Sorry...mom to make it for you NOT included! And finally - some cough medicine to knock you out until you feel better! 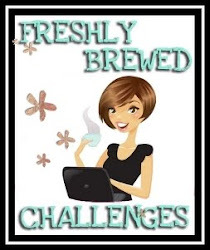 I love to know what my readers are thinking when I put up a new project or card on my blog! So...What do you think? I'd love some feedback! I'll post more pictures as I get all caught up! It has been a considerable effort to post pix! My laptop is not connected to the internet, and this old desktop doesn't handle uploading pix very well! Thank you all for bearing with me! Today was my DD's 3rd Birthday! I can't believe how much she has grown! Even though this relocation has been extremely difficult for her, I never forget that I am so lucky and blessed to see her smiling little face everyday! I admit that can be tough to remember on our most difficult days, but she really is my little miracle girl. This is Annabella when we brought her home from the hospital. 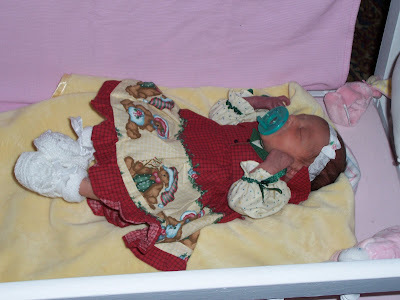 Preemie clothes swamped her, & we were surprised these doll clothes fit perfectly! I had a high risk pregnancy and then I went into labor too early! We were terrified, when Annabella had to stay in the hospital and spend some time in the NICU! Thank God that our little girl has proven to everyone how tough she can be! Thanks to her spirit and the expertise of some fantastic doctors and nurses at Hackensack Medical Center, she grew up to be the beautiful little girl I see everyday! 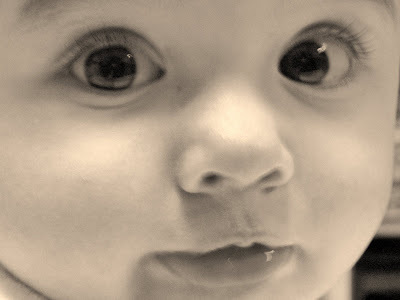 I miss those little baby sighs, and sleepy smiles, but can't wait to see what she grows up to do each day too! Every day I wake up and I'm overjoyed to see her! It is so easy to be positive when you look at her little face! What a precious little imp she is!